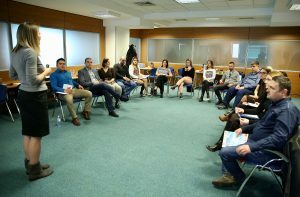 A fourth one-day training for young entrepreneurs on the topic “Emotional intelligence in business” was held on Thursday, March 07, from the mentoring and education program in this cycle. 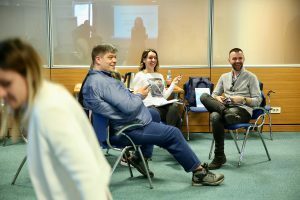 The training was led by Danka Ćetković, founder of NLP Network Podgorica, at the IPER room from 10am to 16pm. The training was attended by 25 young entrepreneurs. 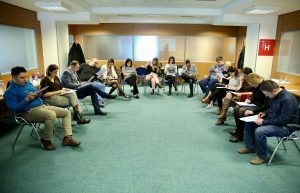 At the training, entrepreneurs had the opportunity to get acquainted with the importance of emotional literacy in business. 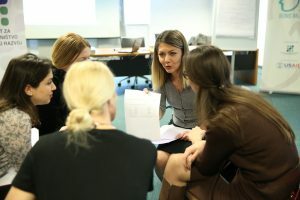 The practice shows that the success of the companies and the level of emotional intelligence of its leaders is quite connected. A person can have an extremely formal education, a brilliant analytical mind and extraordinary creative potential, but without emotional intelligence, it is difficult to develop its full leadership potential, which is especially important to entrepreneurs, what was discussed at training. Researchs show that general intelligence helps people to get hired and emotional intelligence to advance and develop their work. Entrepreneurs learned how to recognize the harmfulness of prejudices that emotions and work do not go together. Emotion can not be left home, but what we can do is learn to recognize our emotions and emotions of others, as well as how to manage them, not those of us. 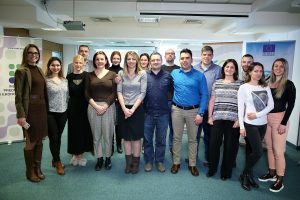 Also, the trainer explained in simplest terms to entrepreneurs how to develop their EQ skills, through coaching techniques and concrete recommendations.